Whistleblower Joe Rannazzisi says drug distributors pumped opioids into U.S. communities -- knowing that people were dying -- and says industry lobbyists and Congress derailed the DEA's efforts to stop it. In the midst of the worst drug epidemic in American history, the U.S. Drug Enforcement Administration's ability to keep addictive opioids off U.S. streets was derailed -- that according to Joe Rannazzisi, one of the most important whistleblowers ever interviewed by 60 Minutes. Rannazzisi ran the DEA's Office of Diversion Control, the division that regulates and investigates the pharmaceutical industry. Now in a joint investigation by 60 Minutes and The Washington Post, Rannazzisi tells the inside story of how, he says, the opioid crisis was allowed to spread -- aided by Congress, lobbyists, and a drug distribution industry that shipped, almost unchecked, hundreds of millions of pills to rogue pharmacies and pain clinics providing the rocket fuel for a crisis that, over the last two decades, has claimed 200,000 lives. JOE RANNAZZISI: This is an industry that's out of control. What they wanna do, is do what they wanna do, and not worry about what the law is. And if they don't follow the law in drug supply, people die. That's just it. People die. Joe Rannazzisi is a tough, blunt former DEA deputy assistant administrator with a law degree, a pharmacy degree and a smoldering rage at the unrelenting death toll from opioids. His greatest ire is reserved for the distributors -- some of them multibillion dollar, Fortune 500 companies. They are the middlemen that ship the pain pills from manufacturers, like Purdue Pharma and Johnson & Johnson to drug stores all over the country. Rannazzisi accuses the distributors of fueling the opioid epidemic by turning a blind eye to pain pills being diverted to illicit use. BILL WHITAKER: You know the implication of what you're saying, that these big companies knew that they were pumping drugs into American communities that were killing people. JOE RANNAZZISI: That's not an implication, that's a fact. That's exactly what they did. 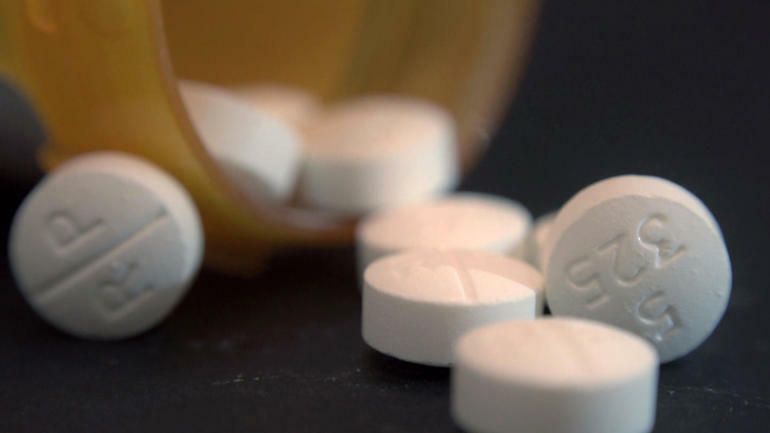 In the late 1990s, opioids like oxycodone and hydrocodone became a routine medical treatment for chronic pain. Drug companies assured doctors and congressional investigators -- as in this 2001 hearing -- that the pain medications were effective and safe.